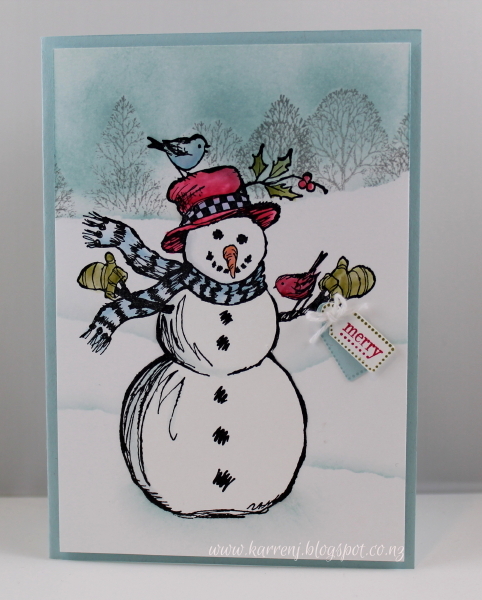 Love the masking you did here, Karren, Your snowman is adorable and I love the way you tied on the sentiment!!! I love the scene you created, Karren! Adorable snowman! He's too cute! I love PSX stamps too! 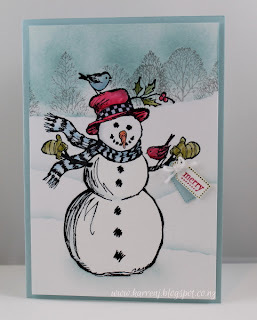 You are right it is a fabulous snowman stamp.You have put so much work into the card and it is so worth it....gorgeous background. Oh.... I do like this snowman! Beautiful background and love that tiny tag. I love this snowman and the wonderful scenery behind him, Karren! I wouldn't get rid of this stamp either! Very nice card Karren, I love the wintery scene you have created and the vintage style snowman is wonderful. So cute. Every snowman deserves some bird friends to keep him company! Wonderful PSX snowman and I love the scene you created. All just adorable!!!!! Adorable...I would never get rid of this little guy either! You created a lovely little scene! 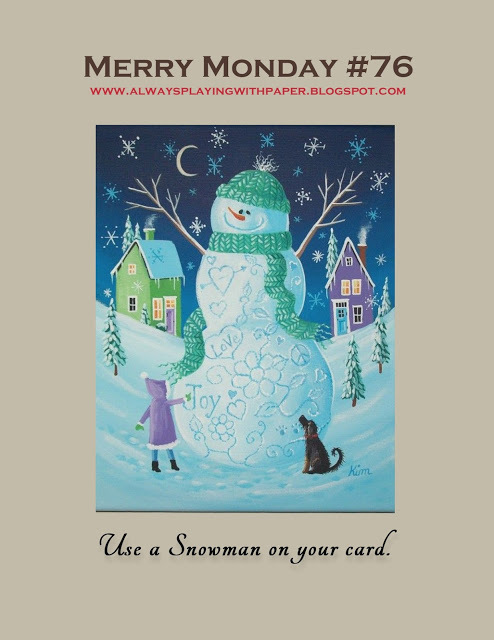 What a lovely card and super cute snowman image! Beautiful masking! I'm in awe! And your snow guy is the cutest! Can't part with those favs! Fantastic card Karren, love the row of trees, your cute snowman and the bling on the snow, sweet little scene.